The Interpine #UAV #Drone continue to innovate around the use of structure from motion 3D modelling. In this case we show some examples of modelling tree structure and resulting stem volume / form, which are important in the forest yield modelling calculations. Doing this type of trial / study work was either time consuming or difficult to operationally do in a effective manner. And hence interrupt or hamper production forest harvesting operations. 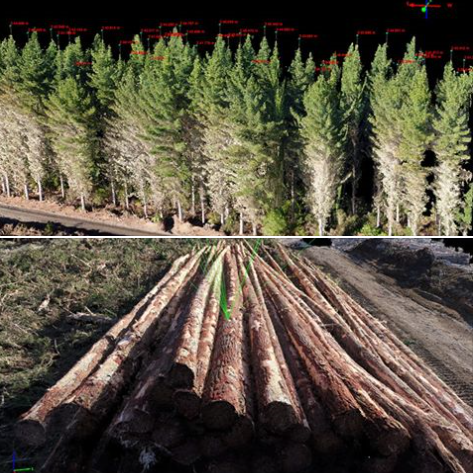 Sometimes it is hard for foresters to realise these are not just pictures, but are detailed 3D models.